Melissa joined IFG in 2014 with primary role of assisting our representatives and clients with any questions or concerns regarding their accounts. 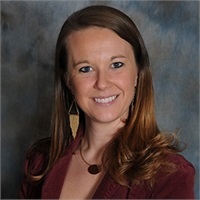 She is a native of Nashville currently residing in Mt Juliet, TN with her husband Dustin, married in 2009 and her two daughters, Kylie born in 2012 and Kinsley born in 2014. She enjoys being outdoors and spending time with her family and friends. Her favorite quote to live by is: "Two are better than one... for if they fall, one will lift up the other".